Ernie Ball artist Jaime Preciado of metalcore band Pierce The Veil is the man responsible for creating the tight, booming low end that perfectly balances the band’s blazing guitar tones. Preciado recently sat down with All Things Loud to talk about PTV’s recent album Misadventures, his influences, and his gear. We recently created two very special custom basses for Jaime, which he describes in detail during the interview. We make tools for musicians, and we’re proud to be a part of Pierce The Veil’s sound. Check out the band’s new album Misadventures in this Spotify playlist to hear that sound for yourself. 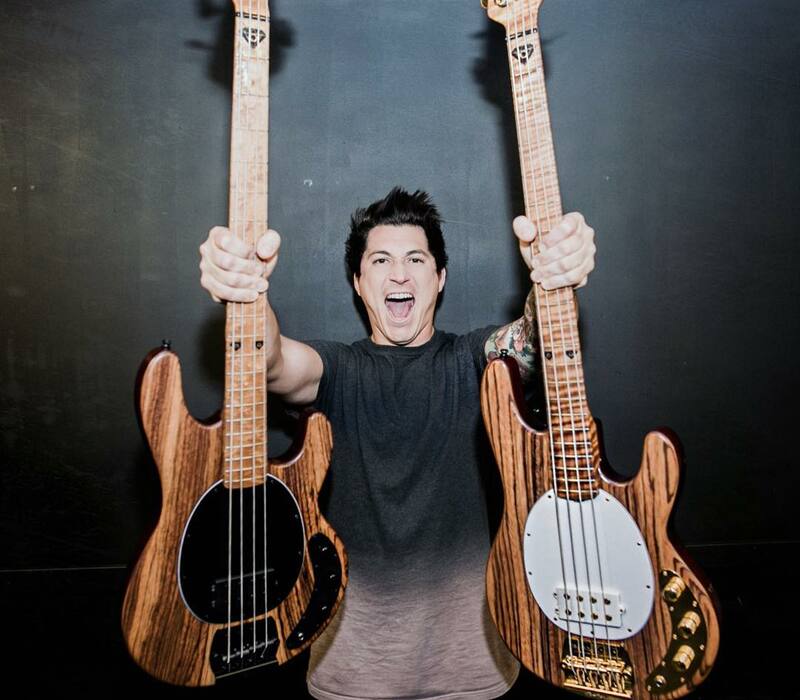 Jaime Preciado plays two custom Music Man zebrawood StingRay 4 basses. Learn more about the StingRay, and find a dealer near you here.